Visas for Al Qaeda: CIA Handouts That Rocked The World – An Insider’s View. Michael Springmann was Chief of the Non-Immigrant Visa Section in Jeddah, Saudi Arabia, from 1987 to 1989. In his position in Jeddah, he was routinely overruled by superiors when he denied VISA applications submitted by unqualified travelers to the United States. The events of September 11th gave him a more profound understanding of the troubles he experienced in that job. He is the author of “VISAs for Al Qaeda: CIA Handouts That Rocked The World – An Insider’s View”. He describes the American VISAs For Terrorists Program and the Arab-Afghan Legion. I think it’s bigger than I even suspected. I had thought originally that it was a small, rogue operation and as time went by and I talked to people and started researching the book I saw that it was bigger than ever. Given the pushback and the blocking of people, I really think that it goes wider and deeper than even I suspect. I think one of the reasons for this is that nobody wants to believe the entire government is corrupt from top to bottom, that you can talk about Edward Snowden or Tom Drake or William Binney and the very focused, very tightly organized situations for a particular person for a particular item. What I’m saying is that the United States of America and all of the branches – the executive, the judicial, and the legislative – know about this and are covering up essentially state sponsored terrorism, and nobody wants to hear this. Nobody wants to go any deeper in it than I’ve got. I’m Bonnie Faulkner. Today on Guns and Butter, J. Michael Springmann. Today’s show: Visas for Al Qaeda. Michael Springmann is a former diplomat in the State Department’s Foreign Service, with postings to Germany, India, Saudi Arabia, and the Bureau of Intelligence and Research in Washington, D.C. He was Chief of the Non-Immigrant Visa Section in Jeddah, Saudi Arabia, from 1987 to 1989. In his position in Jeddah, he was routinely overruled by superiors when he denied visa applications submitted by unqualified travelers to the United States. The events of September 11th gave him a more profound understanding of the troubles he experienced in that job. He is the author of Visas for Al Qaeda: CIA Handouts That Rocked the World – An Insider’s View. 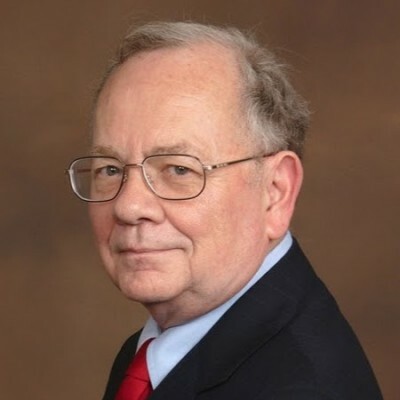 His articles on national security themes have been published in Covert Action Quarterly, Unclassified, Global Research, OpEd News, The Public Record and Foreign Policy Journal. He is now an attorney in private practice in the Washington, D.C. area. Bonnie Faulkner: Michael Springmann, welcome. Michael Springmann: Thank you. I’m pleased and honored to be able to talk to you and talk to your listeners. According to what you write, you’ve come a long way in your thinking about American foreign and now domestic policy. You are a former US diplomat having worked in many foreign posts, most significantly as a visa officer in Jeddah, Saudi Arabia from 1987 to 1989. How did you come to work in the Foreign Service and what different posts were you assigned to? Michael Springmann: I had gotten very much interested in foreign affairs when I was in high school. I had read Lederer and Burdick’s book, The Ugly American, and thought the State Department needed somebody who wasn’t quite so hide-bound and wearing blinders. So after I went to Georgetown University School of Foreign Service I graduated and tried to take the Foreign Service exam, passing the written test but failing the oral. Unfortunately, I drew the former ambassador to Vietnam, Ellsworth Bunker, who was a war hawk and when they asked me, “What kind of foreign policy problems do you see in the world today?” I mentioned Vietnam and said that the American government was keeping its actions in Southeast Asia from the American people but the folks in Southeast Asia, the Vietnamese, the Cambodians and the Laotians, they all knew they were being bombed to hell. And boy, the interview went downhill from there. I wasn’t the right kind of person they wanted. So over the next few years I kept re-taking the exam and always passing the written but never the oral. I sort of wondered sometimes whether I was the right person since I didn’t come from the upper-class, Ivy League educated elite that normally goes into the Foreign Service, the folks from Harvard and Yale and come from big money. So in my situation, I went abroad with the State Commerce Exchange Program, which was a program set up to give Washington assignments to State Department people who needed to be in DC for some reason, and in return, Commerce Department employees got positions as Foreign Service officers abroad. I was sent to Stuttgart. Later, when they created the Foreign Commercial Service, taking it away from the State Department, I went to India as commercial attaché in New Delhi. Then eventually, presumably citing my background in the State Commerce Exchange Program and the Foreign Commercial Service, I eventually got through the oral exam and then was commissioned to Foreign Service officer, and as a reward, was sent to Saudi Arabia, which was not on any of my lists of perspective assignments and, in fact, I had been told I was going to the embassy in what was then East Berlin. Bonnie Faulkner: In your introduction, “What is this about?” you discuss al Qaeda. What is al Qaeda? Michael Springmann: Well, al Qaeda is one of the brand names for the American visas for terrorists program. Initially, they were the mujahedeen, the people who recruited around the world and sent to the US for training and to Pakistan for training and then sent to Afghanistan to shoot things down and blow things up, hopefully with Soviet soldiers inside. They then became al Qaeda in another brand change, but it was basically the same fanatical Muslims who were doing America’s bidding in destabilizing first Yugoslavia and then Iraq and then Libya and then Syria. And now they’re calling them ISIL or ISIS or Daesh and it’s the same people. It’s the Arab Afghan Legion, it’s the guys originally recruited as the mujahedeen 25 years ago or more. They’re not as organized as the Marine Corps but they are crazy people that have been recruited and trained by the Americans and supplied by the Saudis and the Gulf states and others, and they’re turned loose to destabilize, de-house, de-culturalize and destroy countries the United States doesn’t like or governments the United States doesn’t like. They did it in Iraq, they did it in Yugoslavia, they did it in Libya, which had one of the highest standards of living in all of Africa, and they’re doing it to Syria, which I think is in a worse condition now after four years of American-sponsored war than Iraq was or is. There are at least a million dead in Iraq and still four million people as refugees or internally displaced, and Syria has the same problem. There are four million people outside the country. Bonnie Faulkner: One of your introductions is entitled “Why did I write this book?” Why did you write this book? Michael Springmann: Well, I wrote the book because more than 20 years of speaking out against what was being done to me and the rest of the world, analyzing the disastrous American foreign policy, the imperial American foreign policy, and not getting a whole lot of response, I said, well, all right. I had done Freedom of Information Act requests with the State Department and got nowhere. I did that in 1992 when I was fired and wanted to find out why, and when State stalled me for two years and gave me no information I filed a lawsuit in US District court. It was sealed and shut down as a threat to national security – and I still wonder why finding out what was going on about my firing was a threat to national security, but I think now we know. The second impetus to this was several years ago when I filed another Freedom of Information Act request and again got stonewalled by the State Department. I wanted the original visa applications I had refused years ago and had been repeatedly overruled by Jay Freres who I believe to be a CIA official. And he was the driving force behind all of these illegal visas, people had no ties to their own country or Saudi Arabia yet wanted to go to America for reasons none of them could articulate. That was shut down because the State Department claimed, “Well, we can’t find any of these records. They’ve all been shredded.” I said, “Well, that’s not true because we interviewed 45,000 applicants a year and we had, when I was there, filing cabinets filled to overflowing with applications 5, 10, 15 years old. If they had been shredded,” which I doubted, “I want to know the names of the people who shredded them, their rank and the dates they were shredded.” State would never do this and Reggie Walton, the judge who was also on the Foreign Intelligence Surveillance Act court, simply closed down my Freedom of Information Act lawsuit as having used up all of my administrative remedies. So I said, all right. I’ve had enough. I’m going to write a book. I’m going to try and tie this all up together and I’m going to get it out to people who really need to know about this. And that’s what I’ve been doing since February 6th. Bonnie Faulkner: Is that February 6th of this year? Michael Springmann: Of this year, that’s right. I closed down the research in December of last year, 2014, and said I can’t do this. I’m going to keep going on forever. This book is timely, it’s important, people need to know about it and sent it off to the printers and was done with it February 6th and it was on the street I think later that month. Bonnie Faulkner: What kind of people does the US government hire to formulate and manage its imperialist foreign policy? Michael Springmann: Idiots, and they’re generally people who do not work for the Department of State. State claims it wants the best and the brightest, but some of the ones I’ve met aren’t the best and the brightest anywhere in the world. Unfortunately, most of the people who work for the State Department work for the intelligence services. I had a former chief of station and a real Foreign Service officer, Jay Hawley, tell me that the average is about one in three Foreign Service officers work for one of the American intelligence services. There was a former ambassador, who’s now died, he said about half of the people in many Foreign Service posts work for the intelligence services. When I was in Jeddah, out of 20 Americans there were only 3 people, myself, Mike Springmann, Lonnie Washington, the only State Department communicator, and Jim Page, an administrative officer, we were the only people who had no ties professional or familial with any of the American intelligence services. According to a book that was published in Canada that ran about 12 pages, that I’ve not yet seen but found on Namebase.org, two-thirds of the people who work for the State Department as Foreign Service officers are really intelligence officers. These are the people who are incredibly arrogant, self-centered and contemptuous of everybody else in the world. Bonnie Faulkner: With regard to some of your experiences in Jeddah, didn’t you discover things yourself going on there that the US government itself wasn’t even aware of? As luck would have it, the air attaché was down from Riyadh and I called him up the first thing the next morning and told him what I had gotten from the fellow, and he said, “That’s news to me. I’m not down here about this. I came down to do scuba diving.” So he went and got pictures taken either through a satellite, overhead imagery, or through a flyover with a reconnaissance plane, and the National Security Agency hadn’t heard about that, and the CIA, Karen Sasahara, the case officer whose diplomatic cover was political officer, she didn’t know about it. The State Department’s secretary for the consul general who had once worked with the CIA, she was mad because she had to come in on her day off and write the cable about this. As a footnote, Karen Sasahara is now deputy chief of mission in Sana’a and she’s working with her husband, Michael Ratney, who had been consul general in Jerusalem and is now American ambassador to Syria. So they’re keeping terrorism and warfare in the family. Bonnie Faulkner: What’s it like in Jeddah, Saudi Arabia? But it was an amazing place. You could do anything if you kept it hidden. If you went out and influenced Muslims to drink you’d get tossed in jail and lashed and deported, but if you had the right connections you could do anything you wanted. They had undercover priests saying mass at J. Phillip Frerer’s house. He was the American consul general and supposedly a devout Catholic. It was kind of like Europe at the time of Henry VIII. You had hidden priests posing as travel agents, doing their ministry there. You had Protestants having religious services on the American consulate compound. It was absolutely astonishing. Bonnie Faulkner: You talk about how the US Foreign Service was professionalized and merged with the Central Intelligence Agency. You’ve started to talk about this. How does the CIA operate within the Foreign Service? Michael Springmann: They have people called “under official cover.” They are supposedly real Foreign Service officers with black diplomatic passports. There were two CIA case officers in my A-100 class, the class teaching you how to be a Foreign Service officer, when I was hired by State. They simply go out and they’re given assignments in the political section, the economic section, the commercial section, the administrative section, but they don’t necessarily work full time in those sections. For example, Andy Weber, who is now assistant secretary of defense for nuclear, biological and chemical weapons, he was a CIA case officer in Jeddah supposedly assigned to the consular section, but he worked there maybe half a day and we really only had him in there full time when we had a flood of visa applicants after the end of major holidays in Saudi Arabia. Bonnie Faulkner: I tend to think of terrorist training as taking place in foreign countries, such as Jordan or Turkey or wherever. In fact, a lot of the training of terrorists took place right here in the United States. What was or is the visas for terrorists program? Michael Springmann: That’s essentially what I called what I was being told to do in Jeddah. It was the mujahedeen recruits that they were brining from all over the Middle East and even as far as East Asia. They were people who wanted to be taught to shoot things down and blow things up. They brought them by the thousands to the US to be taught in US military training facilities, either in North Carolina with the Navy or near Williamsburg, Virginia with the CIA organization called The Farm. They’re also being fought in Jordan now. There are a number of American bases there that are teaching them how to do this. There are apparently bases in Turkey that are giving them the full treatment on how to destroy Syria and before, how to destroy Libya. It’s amazing. You would have thought they would have done it easier and cheaper abroad but who knows what goes on in these people’s minds? Bonnie Faulkner: In your chapter “Enter the Patsy,” I assume that you were the patsy. Michael Springmann: Exactly. Had they told me what they wanted me to do, I probably would have been dumb enough at the time to say, “Yeah, we work for the same government. Yeah, you want a visa for a guy to overthrow the evil, godless Soviet empire? Sure. I’ll stamp the visa for you.” But they never did that. I figured it would be a five-minute hello and goodbye session, and Cutler kept me there for 45 minutes talking about all the problems my predecessor, Greta Holtz, had created for him and the embassy in Riyadh. She was refusing visas to servants for rich Saudi women who couldn’t travel to the US without seamstresses, hairdressers and other factotums. I said, this is the most bizarre thing. He’s telling me my predecessor is an absolute incompetent and a trouble maker and he wants me to do something but I can’t quite figure what it is he wants me to do or what message he’s trying to get across. Once it was over, I asked the desk officer who was there with me, “What was that all about?” He said, “Well, I don’t know. Cutler was just a queer duck.” Well, Greta Holtz, who refused to answer three letters asking about what was life in Jeddah, what she wished she had known before she got there and so forth, told me on the phone one day after I was out of the Foreign Service, “Oh, I was so upset I couldn’t tell you about this.” I found this really peculiar because Greta Holtz is now American ambassador to Oman, and if she had all these problems how is it that she’s in the Foreign Service still and I’m out, when all I was doing was my job, which was essentially to support and defend the Constitution of the United States against all enemies, foreign and domestic? So far as I’ve seen in my career in the State Department and since then, the only enemies there are around are domestic enemies, and they generally work for the United States government. Bonnie Faulkner: Now, what were the three recruiting offices in Saudi Arabia? You worked in Jeddah. Weren’t there two other centers? Michael Springmann: There was one in Dhahran at the consul there, but I’ve never been able to figure it out, and one in Riyadh. Nobody’s been able to tell me their exact addresses. It was just, yeah, the cities, they were there, but they never really gave me any concrete information. Try as I might, I couldn’t find anybody who would tell me otherwise. Bonnie Faulkner: The problem that you ran up against professionally in your job is that you were actually denying visas. Isn’t that right? Michael Springmann: Yeah. With a visa application you’ve got to establish some kind of connection to the place of application or your own country. You have a job, you’re going to school, you’re running a business, you have an investment, whatever that’s going to be strong enough to bring you back from the United States for whatever reason you’re going here. For example, people go for tourism, to visit relatives, to sign a contract with a business in the United States, whatever. Then they can’t stay here. They have to go back to managing their own business, they have to graduate from their university, they have to manage their job, they’re either a manager in a company and they just can’t go away and leave it. None of these people had any of those ties. They were people that couldn’t name the city they were going to, couldn’t tell me why they were going there, had absolutely no information available to me as to what they were doing or why they were going. I thought once I had yelled and screamed and filed lawsuits that this had all stopped. Yet after September 11th, and in researching the book, I found that Shayna Steinger had been the consular officer in Jeddah who had issued 11 visas to people who were participants in the September 11th attacks, and I was thunderstruck at this. Shayna Steinger, who from my research on the Internet had given equivocable answers to the 9-11 Commission, she still has a job and has gotten promotions. Michael Springmann: Twenty. I think 19 or 20. 15 got their visas in Saudi Arabia and 11 of the 15 got them in Jeddah. Bonnie Faulkner: I see, at the very office where you worked. Bonnie Faulkner: You complained because you were being overruled when you denied visas, right? Who did you complain to? Michael Springmann: I complained first to Justice Stevens, and Justice is the given name. He was head of the consular section. I complained to Jay Frerers. I complained to Stephanie Smith, who I have since found out is a CIA official. When she was counsel for consular affairs in Riyadh and she told me, “This is a very bad thing. When you go back to Washington, tell the Bureau of Consular Affairs about this,” which I did and they had absolutely no interest. Once I was out of the State Department I complained to the Government Accounting Office, as it was known at the time. I complained to the Justice Department and to the Federal Bureau of Investigation. They told me after September 11th, after I called office after office at headquarters, to call the Washington District office and when I did, they said, “Well, we’ll get back to you. That was 15 years ago and I’m still waiting. Bonnie Faulkner: So how massive would you say the cover-up is? Michael Springmann: I think it’s bigger than I even suspected. I had thought originally that it was a small, rogue operation and as time went by and I talked to people and started researching the book I saw that it was bigger than ever. Given the pushback and the blocking of people, like Amy Goodman on DemocracyNow! and Tom Devine at the Government Accountability Project, I really think that it goes wider and deeper than even I suspect. I think one of the reasons for this is that nobody wants to believe the entire government is corrupt from top to bottom, that you can talk about Edward Snowden or Tom Drake or William Binney and the very focused, very tightly organized situations for a particular person for a particular item. What I’m saying is that the United States of America and all of the branches – the executive, the judicial, and the legislative – know about this and are covering up essentially state sponsored terrorism, and nobody wants to hear this. Nobody wants to go any deeper in it than I’ve gotten, and I think there’s a lot more to be uncovered if you can ever find the right person to talk. Michael Springmann: Exactly. They went all in with the mujahedeen. They had recruited them, they had trained them, and along the way I think they realized that, hey, we’ve got a cadre of people who are really good at destroying governments and countries. Why don’t we apply this group to other countries where we have an interest in having an unstable government with a failing economy? And I think they brought them to Yugoslavia first. They had Osama bin Laden and 5,000 or more Saudis there. They had people that they had trained and had worked with NATO in Yugoslavia to destroy the country, and according to this guy, John Schingler, who had been with the National Security Agency and the Naval War College in Providence, Rhode Island, they got a lot of help from the American government to get them there, to keep them there, and provide them with intelligence and weapons and training and so forth. After that, they sent them to Iraq and we’ve all seen what’s happened to Iraq. It’s been split into virtually three pieces with no functioning government and no functioning economy. They moved them to Libya. They had more arms amongst the so-called rebels in Libya than they had in the British Army’s inventory. Once they had gotten these people there and had killed the American ambassador because he was apparently in the middle of their efforts to move weapons from Libya to Syria to help destabilize the country there, they had this great opportunity to just shift people and weapons to other countries they wanted to get rid of, and the Turks are helping. The Turks ship planeloads and shiploads of arms and ammunition. They were shipped in Saudi aircraft, as well. They were shipped in Turkish aircraft and Jordanian aircraft. Bonnie Faulkner: President Carter and his national security advisor, Zbigniew Brzezinski, authorized, at the urging of the CIA, the secret American backing for Afghans resisting the Soviet support communist government in Kabul. This then triggered the Soviet invasion of Afghanistan, which was predicted by Brzezinski, so the arming of the mujahedeen was not in response to a Soviet invasion but the cause of it. Isn’t that right? Michael Springmann: That’s right. They were working on this before the Soviets invaded on, what was it, December 24th 1979 or thereabouts – or earlier. Anyway, yeah. They drew them in and this was the beginning of the mujahedeen and the visas for terrorists program, which is now called ISIL, after another brand change. Bonnie Faulkner: How would you characterize what you refer to as the Arab Afghan Legion, and what was its origin? Michael Springmann: These are the people – I picked the name up after looking at this perhaps as something of a clever play on words, but it’s basically the terrorists the Americans recruited along with the help of the Saudis and the Pakistanis to fight in Afghanistan. There were these people called the Afghan Arabs. They were not Afghans but they were Arabs and other people from other countries such as Indonesia or the Philippines who were brought into Afghanistan and were trained to fight the Soviets. They were thought to be easier to work with than the Afghans, and they sort of gave them the sobriquet The Arab Afghans, which I turned into the Arab Afghan Legion. But it’s the same crowd of really fanatical Arabs and Muslims and Arabs who, as Cheryl Benard, the wife of Zalmay Khalilzad, the former American ambassador to Afghanistan, Iraq and the United Nations, we went out, and saw the only way to get the Soviets out of Afghanistan was to find the wildest, most fanatical crazies we could and that’s why there are no moderates in the country, that’s why there are no left-wing people in the country, that’s why all we have in Afghanistan is a bunch of fanatical Muslims. Bonnie Faulkner: Isn’t it also a fact that certain countries actually emptied their jails and sent the criminals there? Michael Springmann: Exactly right. They did that in Egypt and I would imagine other places as well. You want wild men? You want troublemakers? Well, we’ve got whole prisons full of them. Bonnie Faulkner: Who is Abdullah Azzam, cofounder of the Services Office, and what was his role in creating international terrorism? Michael Springmann: He was the guy who worked with Osama bin Laden. In fact, he was Osama’s mentor, as I recall. I’m trying to remember his ethnic identity. I want to say North African but I’m not sure. He was a fellow who worked with Osama bin Laden to create the support for the Arab Afghan Legion, to support the people who were fighting the Soviets in Afghanistan. Bonnie Faulkner: What is the Services Office that he cofounded? Michael Springmann: That was basically an administrative office that handled recruiting, it handled publicity. He had said in one of his newsletters that the people who have the money are in the United States. The people who don’t have the money are in poor Arab and Muslim countries around the world, and that we want help from these people, and the best way to get help is to get it from the US. Bonnie Faulkner: I recall from your book, didn’t he also publish some sort of a jihad magazine? Michael Springmann: Yeah, that’s right. That circulated all over the world, and in various languages. They set up the Services Office to manage recruitment, training and weapons, and they handled the Arab Afghan transfer to Bosnia, for example. He was their think tank. He set up the Al Kifah center in Brooklyn at the mosque there that worked also with Bosnia to recruit people for the war in the Balkans. Bonnie Faulkner: What is Operation Cyclone, and what role does it play in the Arab Afghan Legion? Michael Springmann: According to John Pilger, the Australian journalist, CIA director William Casey had given his backing to this crazy plan produced by Pakistan’s InterServices Intelligence agency to recruit people from all around the world to join the Afghan jihad. In addition to training them in Pakistan, they trained also people here at the CIA camp in Virginia at Camp Perry, or The Farm, which is near Williamsburg. That was Operation Cyclone, and it continued long after the Soviets had withdrawn from Afghanistan in 1989. Bonnie Faulkner: As far as you know, is Operation Cyclone still in existence? Michael Springmann: Well, I would imagine so, given that they’re training people in Jordan by the CIA’s paramilitary arm, along with the US military forces and they’re doing this in Turkey, so I think it’s still going on. They just gave a different name for it maybe and they’re probably doing it now more abroad than here, but until somebody comes clean we’re never going to really know. Bonnie Faulkner: Where were the terrorists trained in the US and who trained them? Now, you mentioned one place. Michael Springmann: At Camp Perry, yeah. They trained in them in North Carolina at military facilities, as well, and I would imagine the Blackwater people were somehow involved, and they operated out of North Carolina. Bonnie Faulkner: Who else do you think was training them? Didn’t you mention the Green Beret in your book? Michael Springmann: Yeah. The US Special Forces were involved in that. I think that they would have the skills and abilities to disrupt a given government using small group forces, much like T.E. Lawrence did in Saudi Arabia. Michael Springmann: Yeah, I think that’s unfortunately true. Adolph Hitler is not the world’s kindest, most gentlest person but I think that he kept the fanatics out of Germany. But the Americans brought them here, trained them, and then used them against American interests around the world. I think it’s outrageous. I’ve met real live Nazis during my five years in Germany and I swear to God, some of the ones I met were a lot better than people I dealt with in the American government. Bonnie Faulkner: What do we know about taking the Afghan war into the former Soviet Union? Michael Springmann: That’s another bit of craziness. The guy involved in that was a fellow who worked for the Central Intelligence Agency, and his daughter married the uncle of Dzhokhar Tsarnaev and Tamilan Tsarnaev. His daughter, Samantha, married Ruslan Tsarnaev, their uncle. These were the guys who supposedly were responsibility for the Boston Marathon bombing. But Graham Fuller, the CIA officer, he managed the attacks on the Muslim republics in the Soviet Union. They sent the crazies across the Amu Darya River and they trained them and funneled the CIA’s supplies for scattered strikes against various military installations, factories and storage tanks in the old Soviet Union. I think that’s remarkably dangerous given that the Soviets had half the supply of the world’s atomic bombs. Bonnie Faulkner: You also point out in your book the similarities between the former Yugoslavia and the former USSR in that they both contained a very diverse population, ethnically, religious-wise, so then I guess it would have been easier to stir up trouble in these areas. Michael Springmann: Oh, yeah. For example, in Yugoslavia the Americans set the Orthodox and the Catholics against the Muslims and the Slovenes and the Croats against the Serbians. You pick your nationality and minority group and the Americans were backing somebody on the other side. When Germany, I guess with the encouragement of the United States, recognized the two most economically viable sections of Yugoslavia, such as Slovenia and Croatia, to secede and form their own country, that helped immensely with the breakup of Yugoslavia. Michael Parenti in his article about the breakup of Yugoslavia talked about how even the American government got Congress to block funding for any organization that still adhered to the old Yugoslav government and didn’t declare themselves an independent country, which I think is absolutely madness. Bonnie Faulkner: What is the Maktab al-Khidamat? Michael Springmann: That’s the Arabic for the Services Office that Abdullah Azzam and Abdul Anas were running to support the Arab Afghans, the people they recruited to fight the Soviets in Afghanistan who were not Afghan nationals. Bonnie Faulkner: Didn’t Sheik Omar Abdel Rahman, the blind sheik, himself get a tourist visa to come to the United States? Bonnie Faulkner: And what role had he been playing with the CIA? Michael Springmann: Well, nobody really talks about what he was doing. He supposedly was this bad boy, yet traveled on American visas all around the world and in going in and out of the United States despite being on a watch list. The interesting thing is that when he got the visa in the Sudan the deputy chief of mission at the time was the fellow who gave me such problems in Saudi Arabia, Joseph P. O’Neill Jr. He had gotten his job there through a CIA family and according to his statement in the Georgetown University Oral History Project, there was another CIA agent like the blind sheik who got a visa and nobody talks about him. And O’Neill blamed the local staff for doing this when it was a CIA case officer who was there who supposedly didn’t bother to check the microfiche lookout book for names of terrorists and other bad boys. Bonnie Faulkner: It seems to me with regard to the blind sheik that we often see the people that work with the government then become the enemy, and they turn around and attack them or accuse them of something. I mean, the blind sheik is doing life, isn’t he? Michael Springmann: Yeah. He’s down in, I think, Texas. He had been at the al Farouk mosque in Brooklyn at the al Kifah center and they just simply let him go back and forth with no problem whatsoever. The thing of it was the blind sheik isn’t by himself. Osama bin Laden was another CIA recruit, and he suddenly became on their outs when he had served his purposes. I once interviewed this Toto Constant, this murderer, war criminal and human rights violator in Haiti that was one of the CIA people in place down there, and when they were tired of him they threw him in jail. So they’re like Kleenex. You use them to blow your nose and when that’s done you throw them away. Bonnie Faulkner: How was the al Farouk mosque in Brooklyn used? Michael Springmann: It was a transfer point for recruits. It was a transfer point for money. They sent them funds and operatives to Bosnia. They found this out after the war in Yugoslavia was over. And it’s by and large a way station. They got money from the US, Muslims and Arabs in the United States, they laundered it there and they sent it on to Afghanistan and to Bosnia and to other places in the former Yugoslavia. Bonnie Faulkner: Are the Arab Afghan Legion, al Qaeda and ISIS all one in the same? Michael Springmann: Pretty much. They’re rebranded. You’ve got roughly the same fanatical people that are recruited and trained and armed with American, Saudi, Gulf, Turkish, Jordanian and Israeli help. These are the same people. They may not be the guys they recruited 25 years ago but they may be the people that they trained, or people that they trained who then later trained somebody else. I put that question to former Senator Mike Gravel from Alaska, and also to retired Army officer, Colonel Tony Shaffer. I said to them, “Are these the same guys that we trained here who are now fighting American soldiers?” and both of them said, “Yes, these are the same folks.” They’ve been rebranded, they changed their name, they’ve got different people. I won’t say it’s as organized as the United States Marine Corps but they are a pretty good shotgun. You load them and you aim them and fire in the general direction of something you want to hit and sooner or later, you fire enough pellets, you’ll hit something. Bonnie Faulkner: You write that the visas issued in Jeddah for the mujahedeen and ultimately al Qaeda and ISIS were not a one-off program. Could you explain that? Were there other centers doing this and continue to issue these visas? Michael Springmann: I think that at the time I thought it was an original, one-time deal and then I began hearing about the recruiting offices in Dhahran in the eastern province and I said, “Wait a minute.” And then as time went by and I was out of the State Department and started hearing about al Qaeda, I said, “Well, this is still going on.” And when I read about Shayna Steinger binger at the CIA’s Jeddah consulate issuing visas to 11 of the 20 hijackers for September 11th I said, “My God, it’s still going on.” When I read in John Schindler’s book, Unholy Terror, he had drawn links between Bosnia and Afghanistan and the September 11th people. He names names in his boo,k which I repeated in mine, of people who were tied in with the September 11th planning and execution. I said, “My God, this is still going on,” and from what I could see in the daily newspapers, they haven’t given up recruiting these characters. Bonnie Faulkner: So then, is the Arab Afghan Legion still marching? Michael Springmann: I think they are. They just have a different brand name. They’re no longer the mujahedeen and they’re no longer al Qaeda. They’re now ISIL or ISIS or IS or Daesh, pick it. Bonnie Faulkner: The US has supported Muslim fundamentalists and opposed Arab secular nationalism. What has been the overall effect of this foreign policy? Michael Springmann: Disaster. Who was it, Robert Dreyfuss wrote in his book, The Devil’s Game, that originally the Americans saw Islam as a shield against the godless communists. And then they came around to the idea of, well, you know, let’s use them as a sword against the godless communists. And up until the Afghan war, using these people as a sword and as a shield was kind of an ad hoc thing. If you wanted to try and get rid of the government of Egypt and try and get Gamal Abdel Nasser assassinated in Damascus, well, you hired somebody to do this. If you wanted to destabilize Syria because it was too socialist you tried to hire someone in the intelligence services there to overthrow the government. Bonnie Faulkner: Michael Springmann, thank you so much. Michael Springmann: Well, thank you. I am honored and delighted and quite happy to have helped to get the word out to people who are interested in hearing it. I’ve been speaking with J. Michael Springmann. Today’s show has been: Visas for Al Qaeda. Michael Springmann is a former diplomat in the State Department’s Foreign Service, with postings to Germany, India, Saudi Arabia, and the Bureau of Intelligence and Research in Washington, D.C. He was Chief of the Non-Immigrant Visa Section in Jeddah, Saudi Arabia, from 1987 to 1989. He is the author of Visas for Al Qaeda: CIA Handouts That Rocked The World – An Insider’s View. He is the published author of several articles on national security themes, particularly those dealing with relations between the CIA and the Department of State. He is now an attorney in private practice, admitted to the bars of Washington, D.C., Maryland, and Virginia. Contact him at [email protected] Visit his website at www.michaelspringmann.com . Guns and Butter is produced by Bonnie Faulkner, Yarrow Mahko and Tony Rango. Email us at [email protected] Visit www.gunsandbutter.org to sign up for our email list and receive our newsletter. Guns and Butter online now includes a new website, an active Twitter feed, show archives and a blog. Follow us at #gandbradio. The transcript is made available through Global Research.